Whether you have a food shop, gym, car showroom, school or nightclub, we can provide professional appropriate artwork to suit your venue. (Designing bespoke professional artwork for your business, using graffiti art techniques). For years, the focus of any successful businesses has been to strengthen teamwork to improve business efficiency and morale. MFYP Ltd has unique activities for corporate team building and has supplied many of our services to small, medium and large-­‐scale companies. 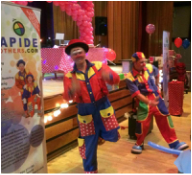 Team building activities include: DJ tuition, Graffiti art, T-­‐shirt designing, Canvas design, Bollywood dance tuition, Boxercise, African drumming, Steel drumming, Cupcake design, Circus skills, Chocolate making, Music production + many more. Download our team building information here. Aiming to increase sales for your business? Have a sale/offer and want to promote to all? Have a new promotion and aiming to receive a positive response? Want to conduct market research? Consult or target a particular age range and try something new? MFYP Ltd have delivered numerous provisions for companies and businesses across the UK, providing fresh new approaches to marketing. Whether you have a shop, retail business or an outdoor vendor, we can promote your services loud and clear using our professional approach. Playing family friendly music and announcing your promotions, we are sure to attract all to your store. Promote new promotions, your service logo and attract the numbers. Both our graffiti boards and t-­‐shirts provide a hand on experience for your clients / customers and enable them to take away either a t-­‐shirt or board made by themselves and retrieve more information about your company. This is ideal for businesses giving away free promotional information or items, market research or attracting people to your venue. This has been used in many supermarkets, football associations and retail businesses. 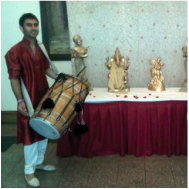 We have various professional Bollywood dancers and Dhol players that can bring a taste of Mumbai to your business. 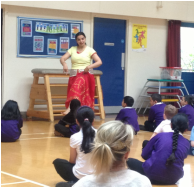 Your audience will be able to participate and observe professional dance steps and feel the rhythms from the best Dhol duo in the area. 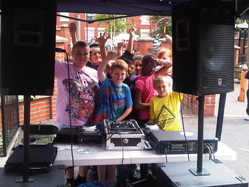 Our street dance professionals can put together a jam-­packed show, similar to the likes of Diversity on the X Factor. Using professional choreography and family friendly music, they are guaranteed to catch the eyes of everyone in town. 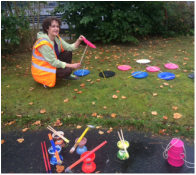 Great for kids and families, you will attract lots of attention from this activity which is ideal both indoors our outdoors. This will be delivered by two of our professional staff team, both with friendly approaches and creative skills. This works well as a package with the live DJ and creates a lovely atmosphere for all involved. 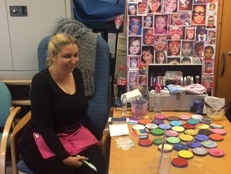 Lions, monkeys, elephants and cats are just some of the creative faces our face painters can create . Children love face painting and it’s a great way to get them through the door. mentioned by past clients. 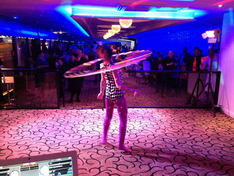 Using both led and fire hoops they will put on a spectacular show and engage with your target audience. Spectators will even have the opportunity to participate, which is a great way to keep fit and learn new tricks. professional steel drummers. 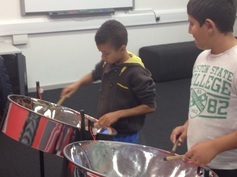 Past clients have used this for promotional events both indoors and outdoors, providing the fresh steel pan sound to everyone’s ears. You and your target audience will feel there in Trinidad, and will just need a coconut punch to relax and unwind. Food, Caribbean, English cuisines, Indian and Chinese. Bouncy castles + many more.